Summer cleanse, let’s do this! October is coming to an end, which has been a hectic (the most common Afrikaans word :D) travel-wise for me. Last time I’ve been sleeping in so many different places was on Asia backpacking trips. People who know me also know that I love healthy food and being active every day, thus I’ve occasionally missed my normal life while on the road. During the road trip across the country, we too often ate our meals as snacks in the car. I ate more milk chocolate than in years, white bread and a lot of processed food in lack of options. Then my parents arrived and eating since has been completely opposite; big breakfasts, huge seafood and steak dinners, milky coffees and chocolate brownies. Even thinking about all the amazing food we’ve had makes me happy 🙂 but I am more than happy to invite more stable November to come. I feel slightly sluggish mentally and physically, which is why I am dedicating November to mindfulness and well-being, besides finalising my uni semester. 1) Rest the stomach. For the tens of millions of people who are on acid-suppressing drugs — and for older folks who often don’t produce enough stomach acid — making the stomach work less to extract nutrients can be a huge benefit. 6) Eliminate harmful foods. 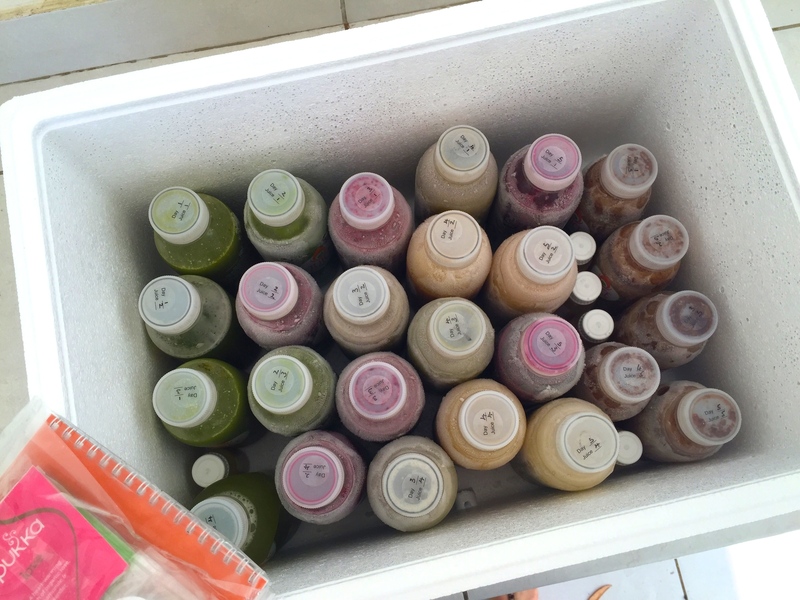 The juice cleanse eliminates dairy, wheat, gluten and fermented foods from the diet (as well as coffee and alcohol). In my experience, the majority of patients over 40 are relatively insensitive to wheat. Being off this — and other common trigger foods for a period — then reintroducing them can help define what foods are causing our body problems. 9) Lose weight. As you are feeling better and having more energy, you also naturally lose weight. Some of this is water bloat, but also some is fat. 9) Improve energy. After the first day’s adjustment period (mostly missing crunching, and any coffee/alcohol cessation symptoms), most people begin to feel much more energy and clarity (by consuming only fresh juices) than they ever did with frequent caffeine drinks. 10) Rehydrate the body. Drinking sufficient fluids (5-6 glasses/day) makes the body function more efficiently, increases energy (often successfully removing the afternoon blahs/brain fog), and helps insure proper elimination of toxins. 11) Reduce physical problems. You begin to feel generally better, not just with your energy, but with many chronic symptoms such as headaches, rashes, general aches, congested sinuses and chest, and bloating/cramping/gas. Too much of the time our body is fighting off the things we do to it (especially with food — but also with lack of sleep, inactivity and stress). Yes please! I also found several arguments against juice detoxing, thus like many other things in life, you have to try it yourself to see how it affects on you. It will not be easy 5 days for sure, but I also take this as a way to challenge myself and see that I can do this. Have you guys ever done a cleanse? Would you like me to tell more on how it goes? 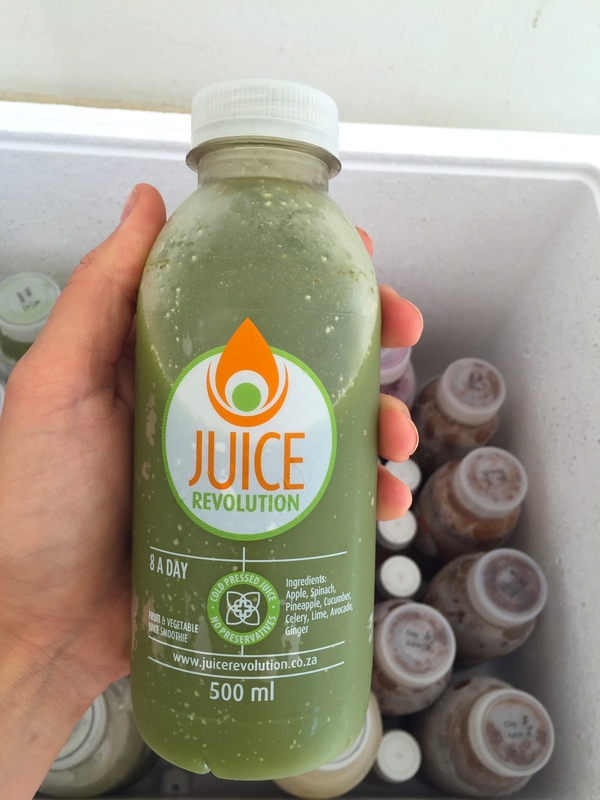 This entry was posted in Body & mind, South Africa and tagged juice cleanse, Juice Revolution. Bookmark the permalink.